Over the years I’ve tried a number of art and crafting projects. One thing I’ve just dipped a toe into is making jewelry. Until I took a beading class, I was not really aware of how big the world of jewelry making is: wire, beads, resin, glass, precious metal clay, shrink plastic, paper, fabric, beads. And that’s just scratching the surface! Unless you’re into jewelry, you might be surprised at all the materials, techniques, and trends out there. My last jewelry project involved wire and beads. Now, wire is a great material, especially for beginners, because it is so easy to bend and manipulate. Expert jewelry makers also like it because it can be formed into very intricate patterns and designs. My friend Kat makes some unbelievably beautiful wire pieces. But the very attributes that make wire such a great material also make it a challenge to use; because it is so flexible, it can be flimsy, especially when beads or stones or anything else with some weight is added to the mix. So how do you strengthen wire to make it sturdy? You pound it flat with a hammer against a steel block. No, seriously. 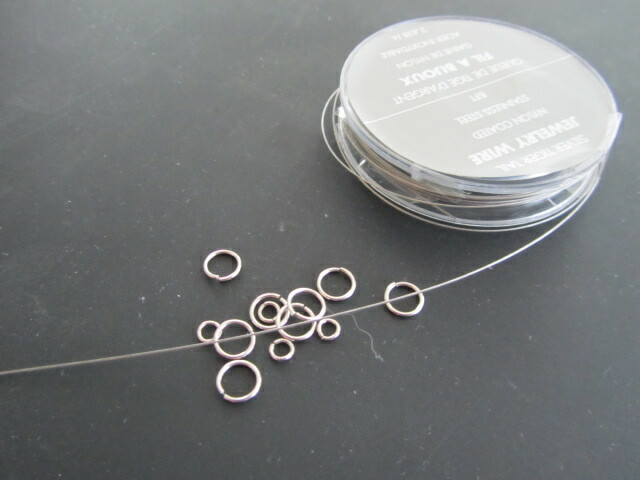 Jump rings, those little wire circles that hold charms and other pretty things on a necklace or bracelet? Those you make stronger by repeatedly opening and closing them with pliers, twisting them back and forth, back and forth. You might think that would weaken the wire and break it, but it doesn’t. Working it in this way, called work-hardening, actually changes its molecular structure. And if you accidently overwork the wire, making it too stiff to manipulate, you can restore it to its former malleability by heating it, called annealing. See? Lots to learn about making jewelry, and that’s only wire! We can be just like that wire. 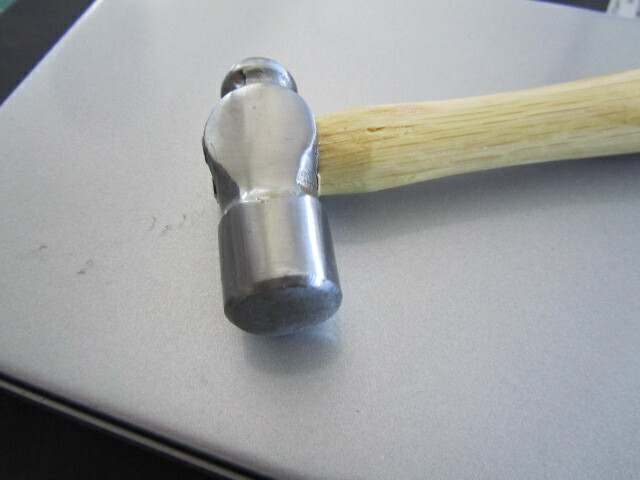 Subjected to adversity, to the equivalent of being hammered on a steel block, we can become stronger. Our faith matures when we endure life’s challenges. “Consider it pure joy, my brothers and sisters, whenever you face trials of many kinds, because you know that the testing of your faith produces perseverance. Let perseverance finish its work so that you may be mature and complete, not lacking anything” (James 1:1-5). God is completing us, perfecting us, through the trials we endure. Matthew 5:48 tells us, “Be perfect, therefore, as your heavenly Father is perfect.” If you’ve always thought those words mean we have to do everything perfectly, this is good news! Our perfection is a work God is doing in us, not something we can accomplish ourselves. Of course, being overworked by life can harden our hearts. Perhaps you know someone, or perhaps you are someone, who has endured so much pain and suffering under the hammer of life that you felt you had to protect yourself. Your heart might be locked in a fortress behind stone walls and a moat (with alligators). But life in a fortress is lonely. Yes, a tender, open heart is more easily hurt, but it can recover from that hurt because love comes in to repair and strengthen it. A hardened heart might be able to resist pain, but eventually it becomes a rock, a weapon that hurts us and others. And no amount of isolation can protect a person from life’s troubles—it just means that person has to face adversity alone. A hardened heart is not a permanent condition. Like the overworked wire, we can be returned to our living, growing, malleable selves by the annealing fire of God’s love. No matter how hard and inflexible we become, love has the power to restore us to tenderness. Love strengthens us and enables us to persevere, to continue growing toward maturity and wholeness. As we allow God to do his perfecting work in us, we can more clearly and brightly reflect his glory to people who have been seriously overworked by the hammer and steel block of life and desperately need to experience the restorative power of God’s annealing love. The other day I was baking, and I plopped in eggs, milk, butter, sugar, flour, salt and vanilla. So what do you think I got out of that mixture? A cake? Cookies? A sweet bread? Maybe a cobbler of some sort? Or even a shortbread? Nope. In my blender I watched all the ingredients whir together and poured the outcome into a pie plate and got a custard pie, that made its own crust as it baked. I realized, as I poured the liquid, that with those exact ingredients–in different proportions–I could have a cake. It all depended on how much of each thing I would add, and in what form. In other words, cold butter instead of melted would mix differently with the flour. Four eggs would be very creamy versus one or two. And the amount of sugar and flour would make a huge difference in the texture and sweetness of my creation. Now, knowing me, you can imagine how my mind started whirling around like the blender blades as I contemplated this thought. What happens when the ingredients of life are all the same, but we get different results? What kind of mixture goes into our lives and gets poured out into a mold of our making? We all have trouble, anger, doubt, desires, hopes and wishes…maybe despair and depression. And we throw in worship and Bible study and prayer, too! Mix all that inside our spirit and with our individual temperaments, and what do we get? Something nourishing, or sweet, or big and fluffy or flat as a pancake? As a new season of Women of the Word begins, a new container is available for all the ingredients of our lives. A new chance to change the proportions of what we pour inside of us has arrived. I hope you get a chance to think about what ingredients you wish to increase in your life these next weeks and what you wish to decrease as well. I’m praying you will have a great time meeting old friends and greeting new ones, and that you will find God waiting to help you “mix” everything He has planned for you this year. 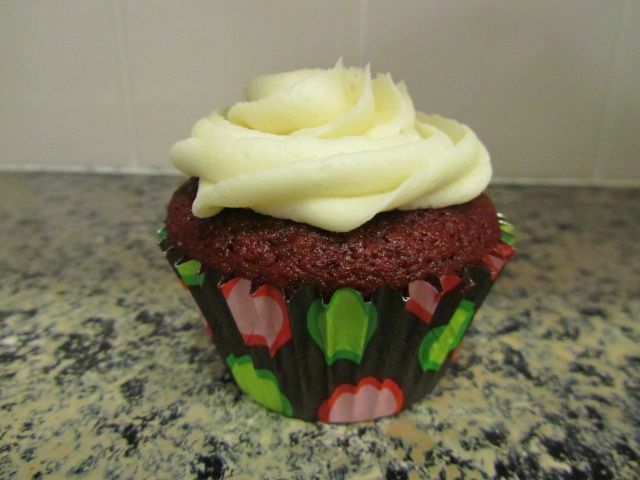 With Him, the outcome can only be good…delicious, in fact! Did you get roses for Valentine’s Day? I have a few rose bushes growing in my yard, and last year was an especially great year for them. I had dozens and dozens of blooms…white, light pink and red. They kept blooming and blooming. 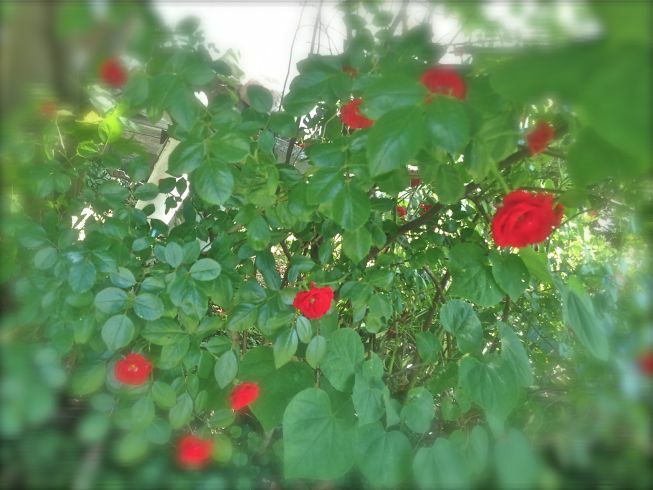 I plant only “bush” roses, or climbing roses, and I loved watching the green branches growing longer and longer. By the end of summer, I was able to support a couple of those climbing branches in a maple tree. When I was younger, the only “fake flowers” available were those plastic kind and they only looked good from a distance. If you put them in a vase on your table, everyone knew they weren’t real as soon as they sat down. Besides the pretend look, they also had no fragrance. Now when I go into a hobby shop, I find roses that actually have “dew drops” on the leaves and petals, and they look so real that even up close you can be fooled. Along with all the fragrance-infused oils, the smell of roses can accompany the look! Artificial flowers are often used in wedding bouquets so the bride can have this keepsake forever. Wow. How cool is that? 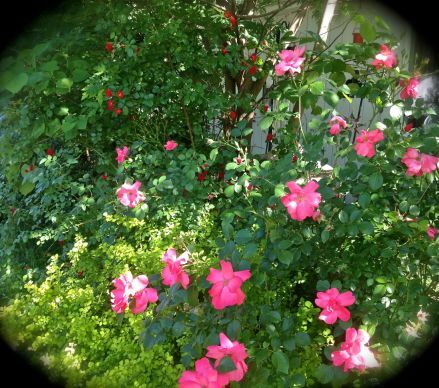 The thing that makes the distinction between real flowers and fake ones is that a real rose bush will keep reproducing year after year…not only will it bloom, it will flourish with many additional blooms. One of the most encouraging things you will have in your life will be “real” Christians. They may not be beautiful (like Hybrid Tea Rose Bushes) but they will be growing, reaching, setting new roots and bringing the blooms of joy, love and encouragement to others. Oh, and real roses have thorns and you can get pricked. So do real Christians! We’re not perfect, and we can unintentionally scratch someone…but once we realize we ALL have thorns proving that we ARE real, we can accept one another and “fertilize” one another with encouraging words of grace and growth. This spring, I hope you plant a rose bush and think about your Christian life each time you see it. Let’s be real. Let’s be fragrant. And let’s be reaching out and growing and producing more blooms every year! There’s always talk about the soil and seed parable Jesus recounted in Matthew 13. Besides the various others told around Iowa in the summer and fall, I have my own story to add. My first experience with growing tomatoes was wonderfully successful. Using a plot of earth in our backyard, we turned it over spadeful by tortuous spadeful (have you ever gone through grass and dirt with those old square spades???). We then placed small tomato seedlings into the dark, rich soil. Of course faithfully watering the plants came next and pulling weeds. Then we staked the green stems as they grew. 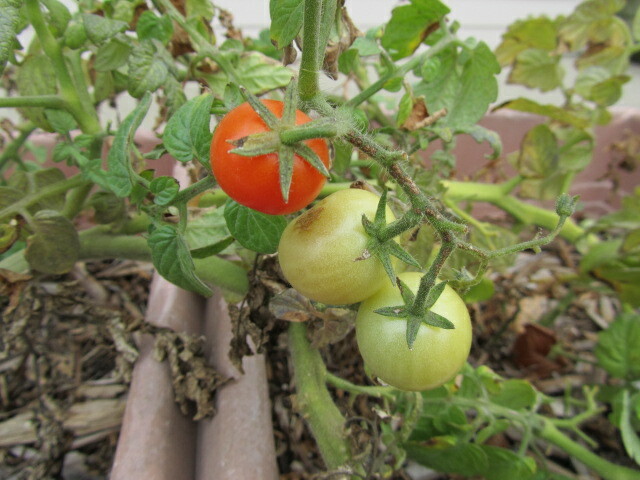 When red tomatoes appeared weeks later, we were elated. And they proved juicy. The flavor was just like I remembered from my childhood. Awesome! We did the same thing the next year, but the weeds were harder to keep away. By the third season, the weeds had taken over and were about impossible to control. What had happened to my lovely tomato plot? A firsthand learning experience had taken place. We learned why farmers rotate crops. They don’t plant the same crop in the very same place season after season. (I should’ve known that, being an Iowa girl, but I was a city dweller.) They also know it is important for the dark ground to be tilled deep in order to keep the weeds from taking root close to the surface and overtaking the good plants. Nutrients have to be added to the earth to replenish it and continued careful watering and working of the soil, and mulching, is essential. These seedlings need much care to develop into healthy plants. How much more needs to be done for fragile little seeds? Those often-tiny specks have to be warmed by the right temperature of soil, not blown away or eaten by birds, and then burrow their way both up to the light and down into the soil in order to survive. As I study scripture and read the times Jesus refers to the soil to illustrate the importance of spiritual growth and foundations of faith, I can readily relate to his teaching. Not only does Jesus tell the story of seeds and different soil, but he explains the meaning of his story to his disciples. Posing this parable with my experience, the truth Jesus taught becomes really clear to me. It seems to me, some will hear the Word of God without lasting results while others will hear and consider it and come to life in Christ. The gifts of the Holy Spirit are tools of cultivation God uses to produce generations of fruit. If we exercise the gifts we are given, perhaps we will have the role of preparing the soil to receive the seed of the Gospel. Another gift may function to nourish a person and through mercy or hospitality. We may water with encouragement and exhortation. Or maybe our job will be to protect from weeds of discouragement by exercising discernment and faith. Whatever our role, there isn’t one thing we do that is “too small” to matter. The soil of friends and neighbors needs to be prepared with love, watered with prayer and fed with encouragement. What shape is your tomato patch in? I pray we can all cultivate a harvest for God.